Nathan Pugh, Business Area Director Mining Solutions, Trimble Navigation. 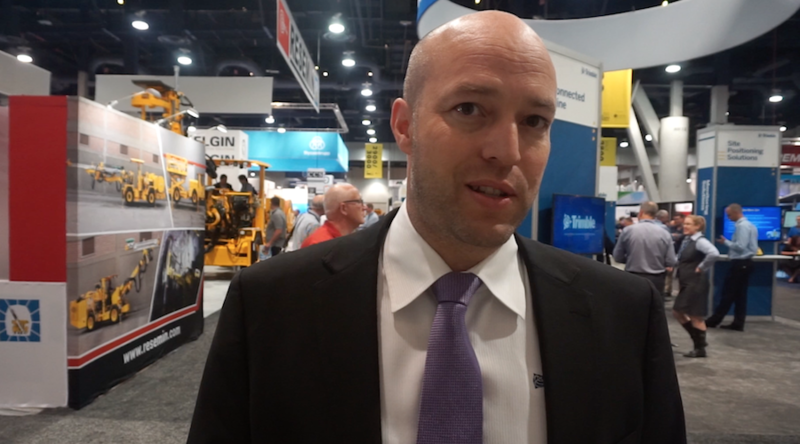 It was repeated over and over at MINExpo International 2016: You have to gather, process, and understand data coming out from every single division in your mine, in order to optimize operations. "Connecting all those pieces of data to create the step change and improvements [mining companies are looking for] is critical," said Nathan Pugh, Business Area Director Mining Solutions for Trimble, a company that has made data gathering, processing, and visualization its core business. 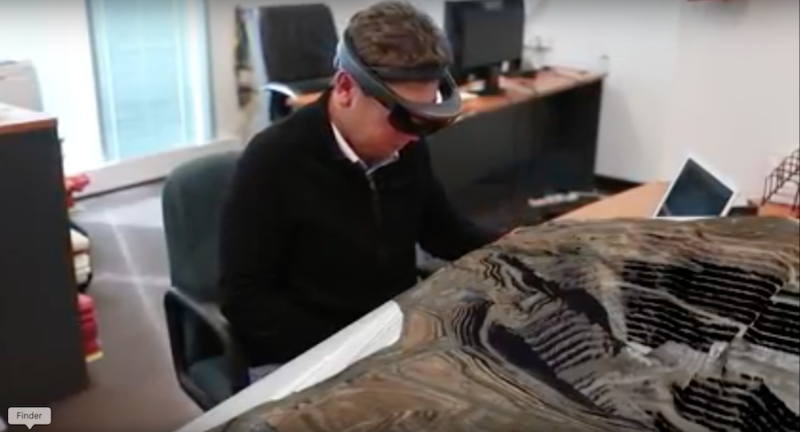 Speaking with MINING.com, Pugh highlighted the benefits of linking the right information to the right people at the mine site and the advantages of being able to interact with that information using the company's latest technology: the Hololens. Trimble has traditionally been a GPS and position company but now our tagline is “transforming the way the world works” so any industry that has a mobile workforce, we do the optimization and efficiency of that mobile workforce. The mobile piece kind of line is the GPS and positioning aspect of our background. We are representing obviously the mining division, the mining and aggregates division, we’ve got payload management, we’ve got civil engineering and construction, geospatial industry, and the monitoring solutions that can be building monitoring for specific kind of slope and tailing facilities. MINING.COM: What are mining companies looking for in terms of innovation when it comes to data? One of the things we have found is that there are a lot of different silos in the mining environment, and being able to connect those and connect the full work process in the value chain and basically tie those feedback loops together, you can basically optimize the entire thing. So, when you look at the amount of data that’s being generated from machines and mining operations in general, you’ve got to make some sense of it at some point and right now, within the mining industry, most of the mining companies have controlled their cost and got their low hand, so now they are looking for step change and cost control and innovation and efficiency, so I think the data and giving use of the data they already have it’s been a really important thing on how to process and get that step-change improvement. MINING.COM: You have the Hololens here at the show, can you talk about that? So, Hololens is a visualization tool for being able to visualize spatial data. How we view it is that it is one tool… you know, there has been a lot of talk about what is the value this 3D visualization provides, [but] from our perspective we think it makes the information… it adds context to the information and makes it easier to ingest and more accessible to people, because that’s how we view things, in this 3D environment. So, rather than viewing a bunch of charts and graphs, if you can visualize this in the context of immersing yourself in a virtual world that’s created with real data, then that’s powerful.